12 1928/31 David Nieto and his contemporaries (I. Solomons). 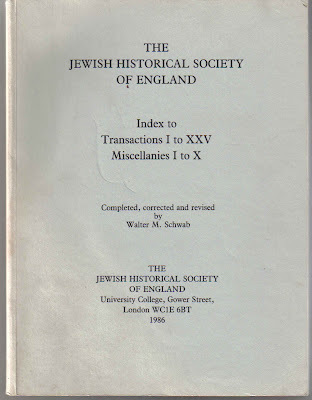 New material for literary history of pre-Expulsion English Jews (A.Marmorstein). Jews of Bristol in pre-Expulsion Days (M. Adler). Looking Backward – Looking Forward (G. Tuck). Sir Hermann Gollancz (1852-1930) (H. Loewe). Canon H.P. Stokes (1849-1931) (H. Loewe). Tributes: Arthur Sigismund Diamond 1897-1978 by Judge Israel Finestein: Rabbi Sir Israel Brodie 1895-1979 by Vivian D. Lipman.